This beautiful hand towel will look spectacular at any Baptism. Remember you will need to wipe your little one's head after the water has been poured - might as well do it in style! 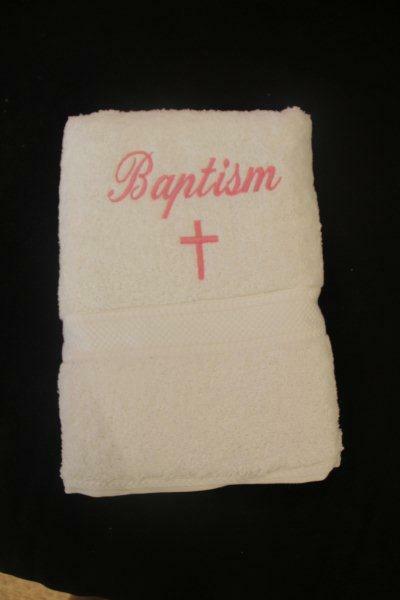 This hand towel is made from high quality egyptian cotton and has the word Baptism embroidered on the hand towel with a beautiful cross beneath it.